1) It’s just hard to know that the person you love so much doesn’t love you back. Indeed it is. You feel as if the Universe has come to an end. You become just so broke…I mean emotionally broke. 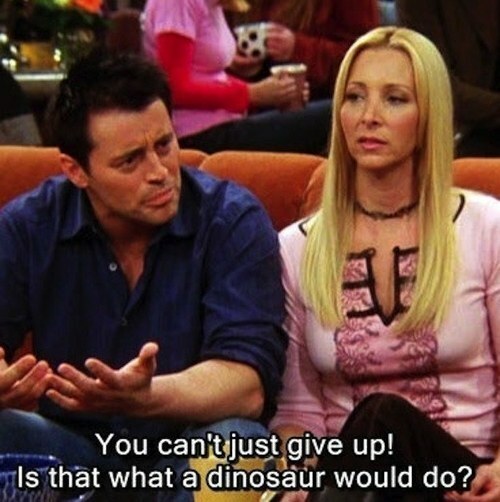 2) You can’t just give up, is that what a dinosaur would do? 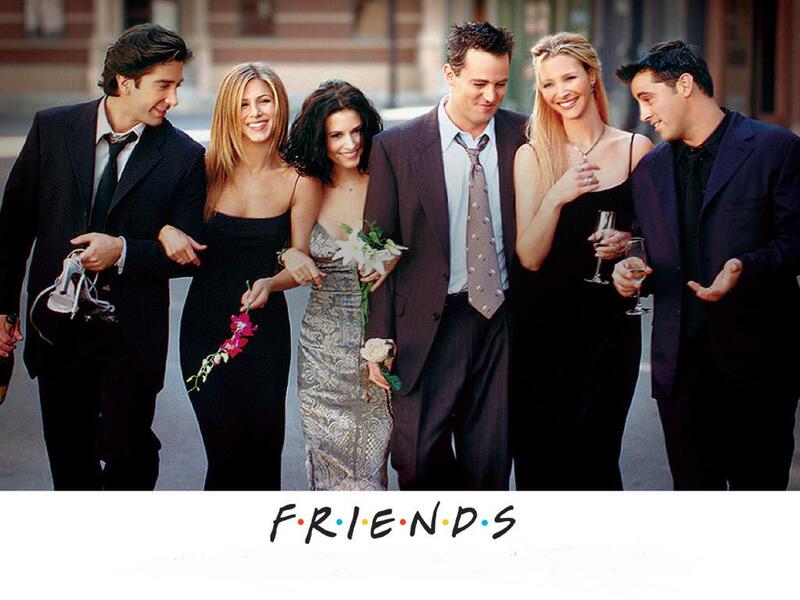 Well, F.R.I.E.N.D.S have a strange way of motivating you to get your love. I know that you know what I mean. 3) I don’t want to get over her, I want to be with her. Sounds beautiful, right? This is just a tremendous feeling when you actually realize who your true love is. 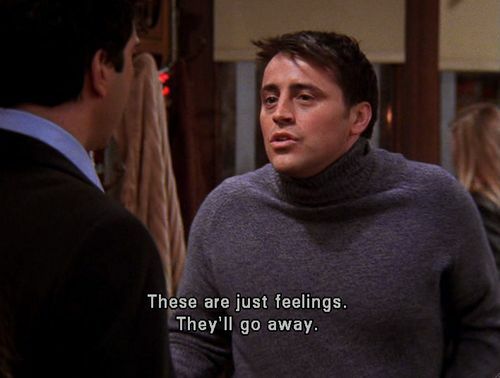 4) These are just feelings, they will go away. 5) Please promise me, that you will never leave me. When someone says this, you know it that they are so into you. 6) I can’t imagine my life without you. Of course, because that person becomes your life and your lives are now entangled. 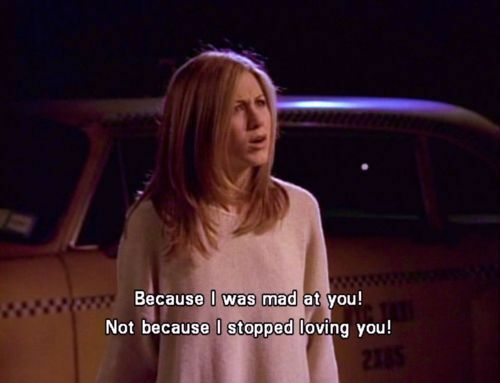 7) Because I was mad at you, not because I stopped loving you. If there is a gap between you two because of any damn reason, then don’ think the other person has stopped loving you. They might be mad, but they are yours. 8) There is nothing that you could ever do that would make me not want to be with you. Isn’t that an “Awwww” moment? When you love someone, you accept the person as a whole, which means , you accept them with their flaws. 9) Please, Please stay with me, I am so in love with you. 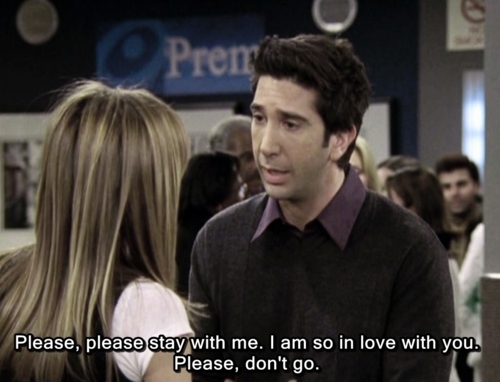 Please don’t go. Of course, the person is. And if you have someone like this in your life, then you are just so lucky. 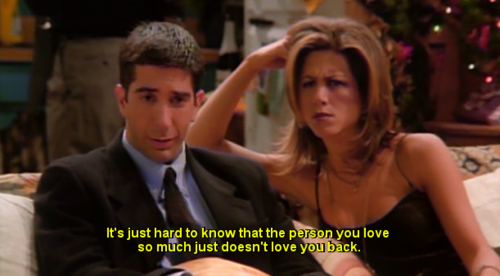 10) It’s always been you, Rach. Isn’t this an amazing feeling that no one and I mean NO ONE can EVER take away your love from you.